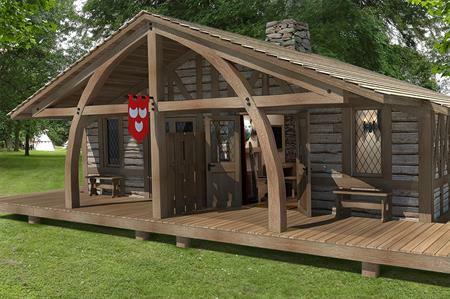 The 28-lodge Knights' Village at Warwick Castle will open this summer for corporate events. Set in the woodland area of the castle’s 64-acre estate, all lodges offer en-suite facilities, including wet rooms, and come equipped with TV, fridge, coffee maker and central heating. Available for exclusive hire, the new venue can be booked alongside meetings venues at the castle. Incentive opportunities are also available, including archery and medieval banquets. Geoff Spooner, general manager at Warwick Castle, said: "This is a new chapter for Warwick Castle as from 1 July we’ll offer guests year-round, lodge-style accommodation to complement the castle’s two Tower Suites, set within the fourteenth century Caesar’s Tower, and our seasonal Mediaeval Glamping Village."